Perinatal Mood and Anxiety Disorders (PMADs) are the most common complication of childbirth, affecting 15%-20% of women. But you can reduce your risk by making a plan and working with our staff to learn the warning signs of PMAD, identify and strengthen your resources, learn what actions you can take to boost health and reduce risk and get information on postpartum community resources. 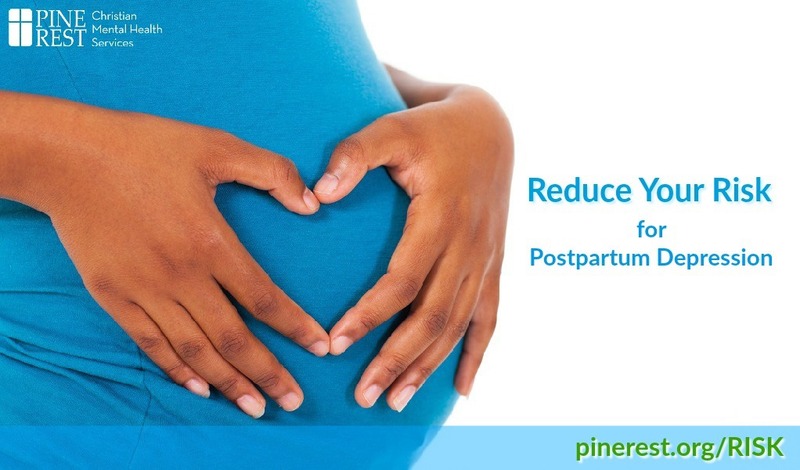 Our Pine Rest Northeast, North Shore and Portage Clinics offer Postpartum Depression Group: Reducing Your Risk, a one-time class, several times throughout the year. Dates and times vary by location. Class is FREE to all attendees! If you have questions or need assistance enrolling, please call your clinic of choice from the ones listed in the Events section below. Perinatal Mood and Anxiety Disorders (PMADs) are the most common complication of childbirth, affecting 15%-20% of women. You can reduce your risk by making a plan. Let our staff help you and your support person learn warning signs and ways to reduce your risk.